While many of us are heading to the cinema to catch the latest instalment of Star Wars, or relying on this Chrome extension to prevent a spoiler catastrophe, Scott Conrad Kelly is busy creating flags for the entire Galactic Empire. 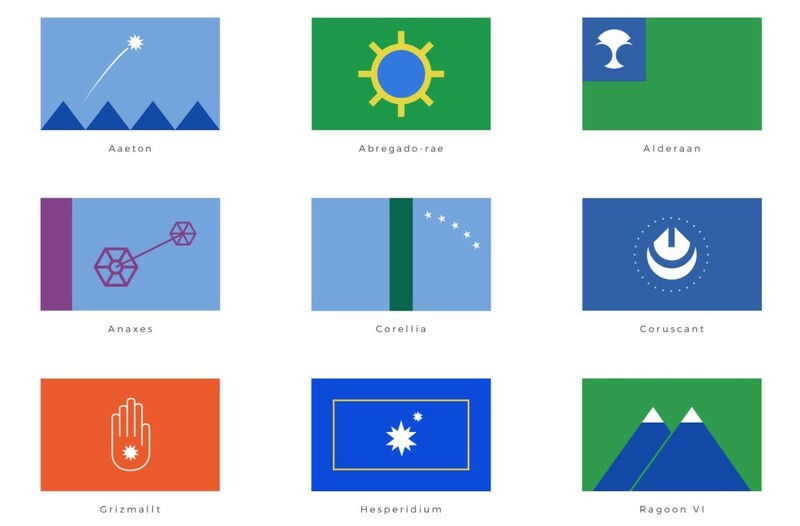 His Flags of the Galaxy series is an attempt to give every planet mentioned in the movie franchise a flag of it own. But instead of putting the faces of characters or other objects found in the Star Wars universe, Kelly took his fan appreciation to the next level. Vexillology is the scientific study of flags and the emblems that go on them. On the Flags of the Galaxy site there is a section dedicated to explaining the origins and meanings of each one of Kelly’s creations. How many planets are there? According to Kelly, 103. “This not only included those featured in the films, but comic books, animated series and video games,” he says on his website. Scott’s even thinking about selling his work. The gauntlet for the most obsessive expression of Star Wars love has been officially laid down.